Hanging banners on a chain link fence is much easier with our banner clips. Just clip on and clip off. Promote Your PTA with these 11" by 17" full color posters. 8 different theme options to choose and all options allow you to laser print your own message on the bottom. Promote Your PTA with these 18" by 24" realitor style lawn signs. Stakes included. 8 different theme options to choose and all options allow you to add in your own message on the bottom. 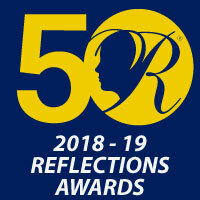 Make sure your parents know it's the PTA sponsoring your event! This 13 oz. vinyl banner banner is weatherproof has your custom PTA or PTSA logo and comes in 6 color options and 3 different size options. This 9oz premium polyester banner is wrinkle resistent and is printed with your custom PTA or PTSA logo. Comes in 6 color options and 3 different size options. Make sure your parents know it's the PTA sponsoring your event! This 1/8" Thick PVC plastic sign has your custom PTA or PTSA logo. Comes in 6 color options include wire table top wire easel. Full color prevention message banner design with your own PTA or PTSA name included! Our custom banners are made of durable 13oz weatherproof vinyl material. Brass grommets are added for easy installation for many fence or wall locations. Promote Your PTA with these 3 ft. by 4 ft outdoor banners. 8 different theme options to choose. Inexpensive and easy. This metal A-frame sidewalk sign displays a 24" by 18"single message / double sided sign. 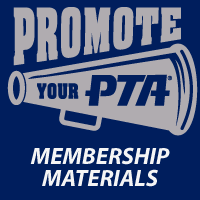 PTA or PTSA Options - Publicly track and display your fundraiser or membership goals with this banner. Red rectangle decals are also included so you can incrementally display your progress. Banner is weatherproof, so can be placed outdoors or indoors. A great way to advertise your meetings! This large A-frame sidewalk sign hold two signs at a size of 24" by 36". The signs can be quick changed out so the message can promote the meeting a week leading up and then changed on meeting day.